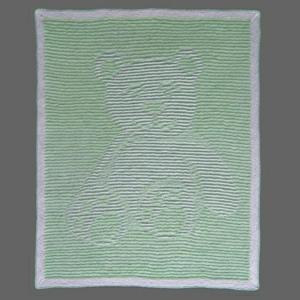 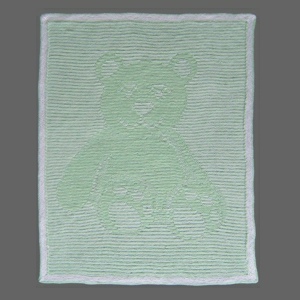 The blanket was made in DK yarn and measures approximately 81 cm x 96 cm (32” x 38”). 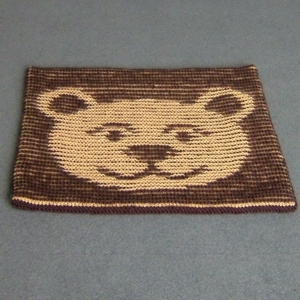 It can be made in any yarn though this might change the overall size. 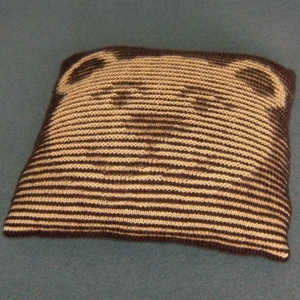 The bear’s face is more rounded and slightly distorted when it is stretched over a cushion pad. 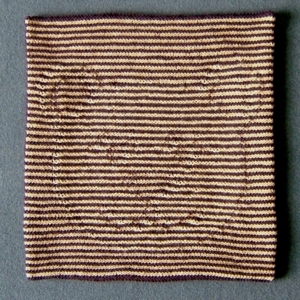 The actual measurement of the cushion is approximately 40 cm (16”) square, which fits a cushion pad of about 45 cm (18”).